Trade show wifi is often sketchy. Unpredictable. But operating without reliable internet access in your booth can compromise your ability to sell effectively. How do you show off your product suite? ViewPoint steers you around speed bumps that might slow you down. 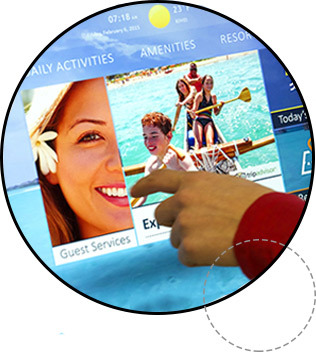 Compelling interactive touchscreen experiences that showcase your products in detail and tell your brand story without internet dependence. A robust, feature-rich platform that's local to your device so it's always available. Use it to sort inventory, spotlight key benefits and engage your audience without limitations. Peace of mind when the expensive, often poorly performing trade show wifi network isn't available. Go local with ViewPoint and never worry about connectivity again. Learn more now!